"They were under a lot of business pressure ... they were willing to do anything." UPDATE 8/30/2017: On Wednesday morning, Pittsburgh Zoo announced that staff made the decision to euthanize Seeni's baby, who was born prematurely and had trouble eating and gaining weight. 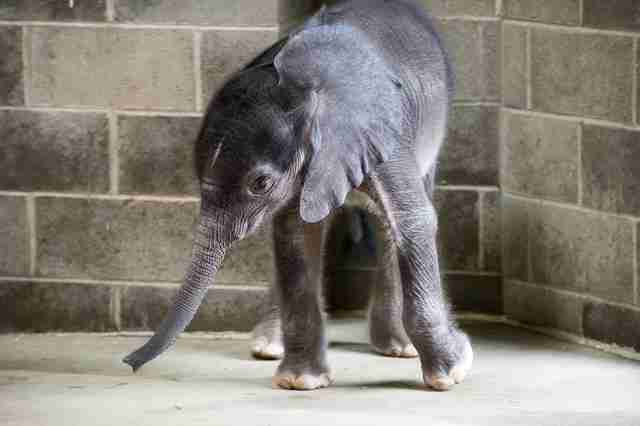 "We fully stand behind the informed and calculated decisions made, and the valiant efforts and commitment of the team of experts who cared for the elephant calf," Pittsburgh Zoo said in a press release. "The Zoo's keeper and veterinary staff demonstrate dedication to the care and welfare of animals every single day and always act in the interest of what is best for each individual animal in every unique situation." 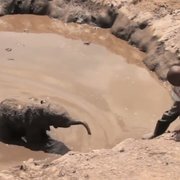 The elephant never should have been taken out of Africa, and she definitely shouldn’t have been forced to have another baby. That’s what animal welfare advocates say about Seeni, a 23-year-old elephant who tragically lost her family in Africa and was transported to Pennsylvania to take part in a captive breeding program. Twenty-one years ago, when Seeni was just a baby, she lived in the wild with her family in the Kruger National Park region of South Africa. But her life drastically changed when the country killed Seeni’s family during an organized cull, which was done to protect vegetation, and to supposedly strengthen biodiversity in the area. Park officials didn’t discriminate when they killed elephants during these culls — they killed the oldest matriarchs as well as the youngest calves. But somehow, Seeni survived. However, Dr. Toni Frohoff, a behavioral and wildlife biologist and elephant campaign director for In Defense of Animals, believes Seeni would be dealing with a great deal of trauma. “There are distinct indications of elephants not only exhibiting trauma, but physiological and behavioral signs of post-traumatic stress after witnessing the death of family members, especially their mothers,” Frohoff told The Dodo. But Seeni had no time to grieve. 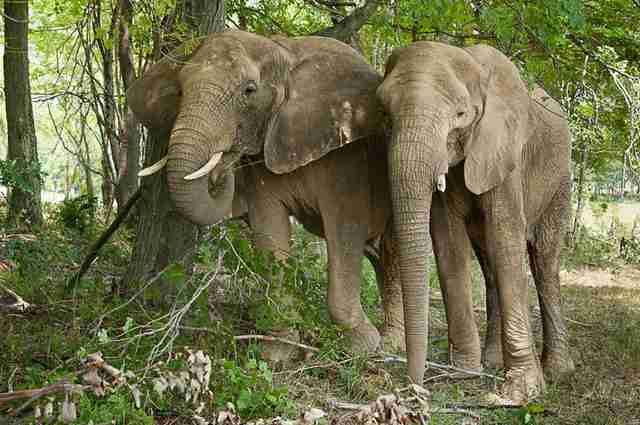 Shortly after the cull, she was moved to a privately-owned nature reserve in Botswana, where she and three other elephants were on public display and forced to give people rides. When Seeni got a little older, the trainer moved her to another camp with the goal of breeding her with a wild male elephant. It didn’t take long for Seeni to get pregnant. In 2011, Seeni’s life changed again. 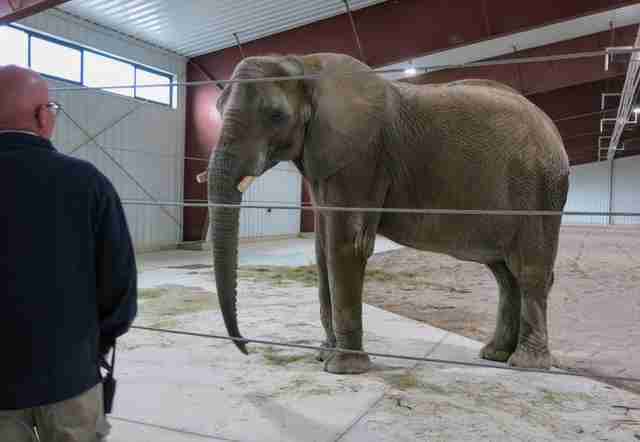 The International Conservation Center (ICC), which promotes itself as a “conservation, research, education, breeding, and training facility” and is part of the Pittsburgh Zoo, paid to ship Seeni and two other female elephants from Botswana to Pennsylvania. One of the main goals of the ICC is to breed elephants but, for years, neither Seeni nor the other females got pregnant, despite the ICC’s multiple attempts. But in 2015, the ICC workers introduced a bull named Jackson, hoping he’d get at least one of them got pregnant. Seeni conceived soon after. Yet Frohoff believes the zoo’s decision to impregnate Seeni was irresponsible and selfish. So why did they do it? Anderson believes it had a lot to do with money. On May 31, 2017, Seeni prematurely gave birth to a female baby in the middle of the night. No one was around to witness it or help her. 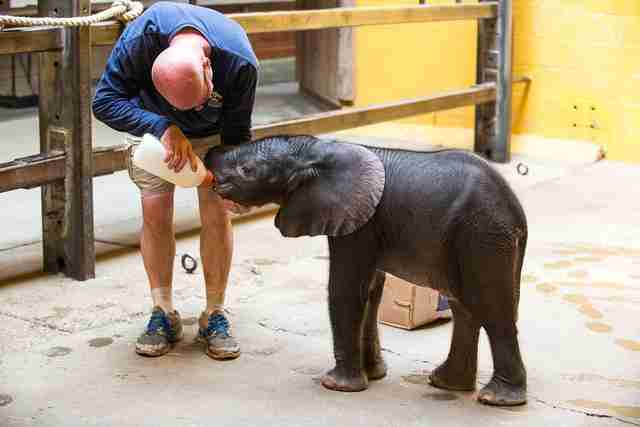 According to media reports, Seeni wasn’t producing milk for her calf, so the ICC staff decided to remove the baby from her mother and take the baby to the Pittsburgh Zoo, where human caretakers would hand-rear her and feed her milk with a bottle. Not long after being separated from her mom, the baby (who remains unnamed) became critically ill. She stopped feeding and lost 15 pounds. 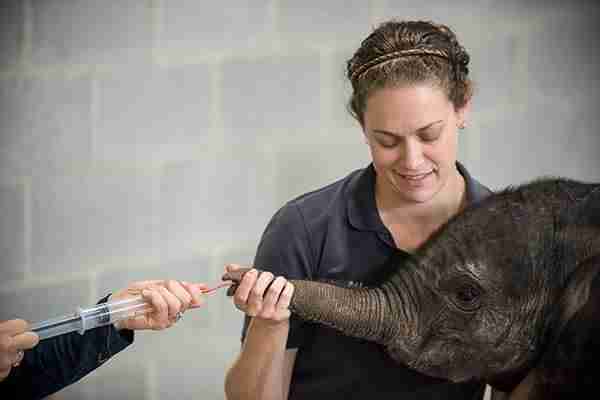 Last week, the baby elephant even underwent surgery to get a feeding tube inserted in her esophagus. 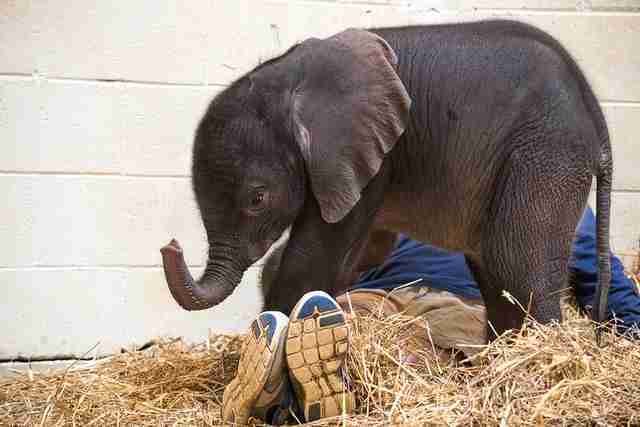 While the baby elephant is said to be recovering well, Frohoff worries about the long-term effects of removing the baby from her mother. 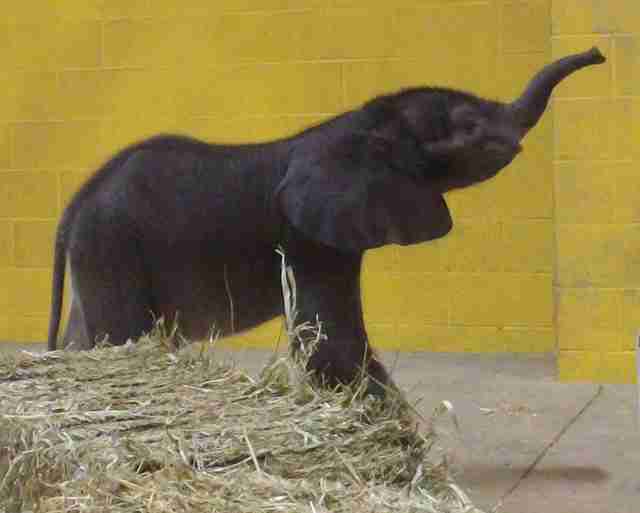 After being moved to the Pittsburgh Zoo, the weak baby elephant was almost immediately placed on display for the public, which Frohoff believes was an effort to bring in more visitors and money to the zoo. “It’s very profitable for them,” she said. 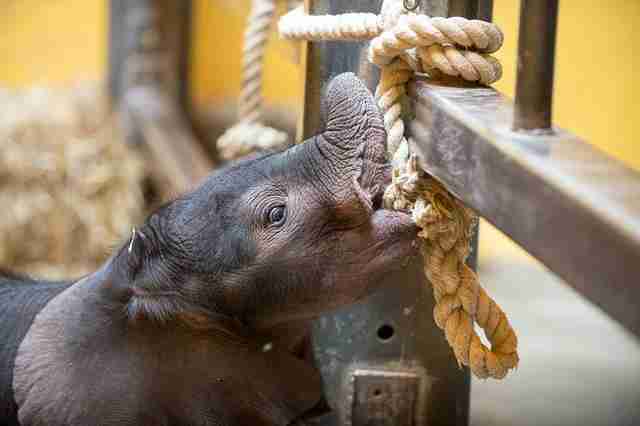 While Frohoff is particularly concerned for the health and well-being of Seeni and her baby, she points toward a larger issue at hand — the zoo’s treatment of elephants as objects, rather than as sentient beings. 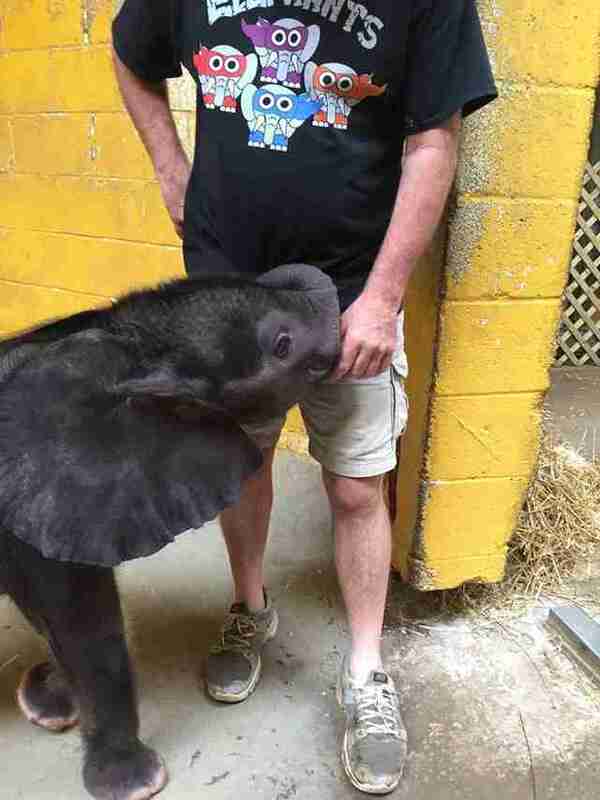 Pittsburgh Zoo could not be immediately reached for comment. The best solution for Seeni and her baby would be to send them both to a certified elephant sanctuary, Frohoff explained, although she added that the baby would first need to be stabilized, and the right time for such a move would need to be properly assessed. 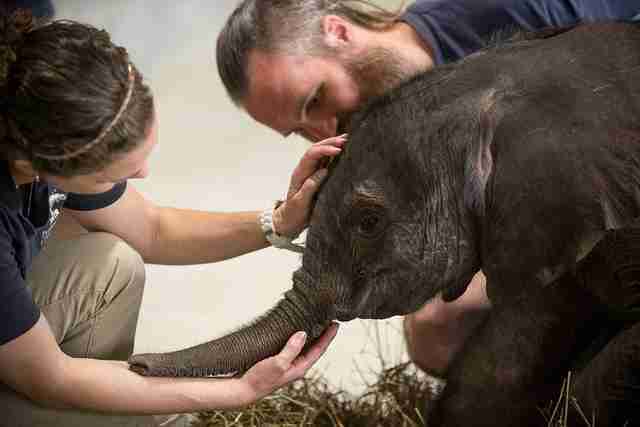 “It wouldn't be surprising if Seeni and the baby would bond more easily with Seeni in a healthier environment where she wasn't being chronically and institutionally traumatized as she is at Pittsburgh Zoo,” Frohoff said. 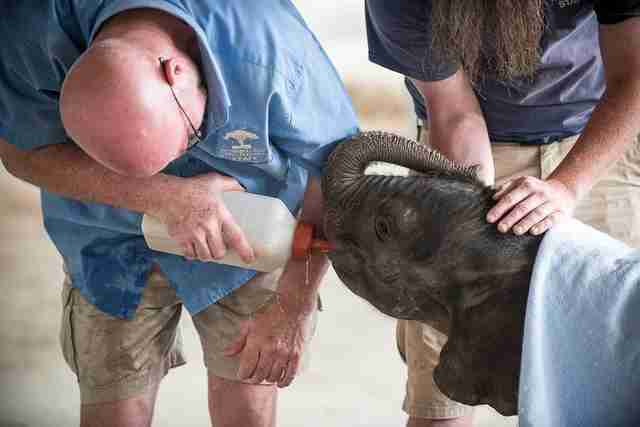 Another way to help elephants like Seeni and her baby is to support organizations that help keep them in the wild, Anderson said. To help rescue, rehabilitate and get baby elephants back into the wild, you can make a donation to the David Sheldrick Wildlife Trust, a Kenyan organization that helps orphaned elephants whose families were killed by poachers. You can also support IDA’s zoo investigations by making a donation.